There are so many beaches around the island and all of them are absolutely beautiful especially on the west coast where having pure white and soft sand beaches starting from the North down to last beach on Southern part. Each beach is offering different feelings and you have all choices for beach with lots of nightlife, shopping center, or beach which is perfect for families or couples who love to stay among peaceful environment. Well-known beaches that visitors will always say Yes!! are Patong, Kata, Karon, Bangtao, Naiharn, Panwa, etc. Besides, not only beach on main island that make tourist always return back to Phuket. There are so many islands around Phuket where having remarkable beaches and marine lives to experience. It is also easy to reach to nearby islands. 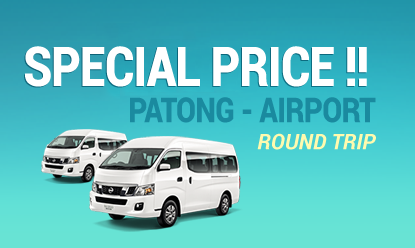 Our phuket taxi service is ready to make your trip comes true. Absolutely, water sports such as snorkeling, surfing, kayaking, and scuba diving are ready to be served to you here in Phuket. However, beautiful beach is not only attraction in Phuket. Phuket also has rich of culture and another place you must visit is “Old Phuket Town”. This charming Old Phuket Town is having a long story to tell our visitor and there are museums where you can learn our past that leaded Phuket become lovely town this day. Taxi with city tour offer is also ready for you with friendly price. There are many temples with beautiful building where are a must places to see such as Chalong Temple, Big Buddha Temple with fantastic sea view. Another is Phra Pud Temple in the north where having an interesting history. There are so many more and of course all of them are very beautiful. Shopping for variety kind of souvenirs, food, jewelry, sea pearl, etc is another activity. Travel around for tasteful seafood restaurants is daily activity that all tourists should not miss to do. Local food with variety menus are another popular thing to do when you are in Phuket. Phuket is having lot of mountains, jungles where you can go out for excursion. Elephant trekking, Flying Hanumarn are popular activities which suitable for family with kids or adults. Paint Ball, parachuting, Jet Ski, water ski, etc. All of them are available all around island.